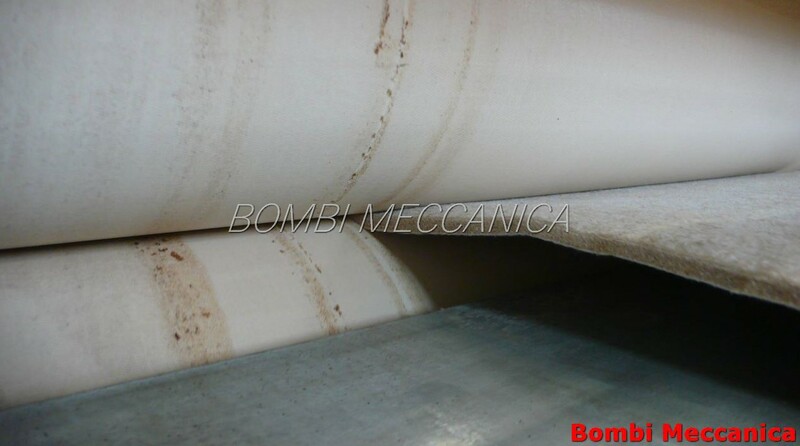 heating of the plates and rolls made by forced thermal oil circulation. 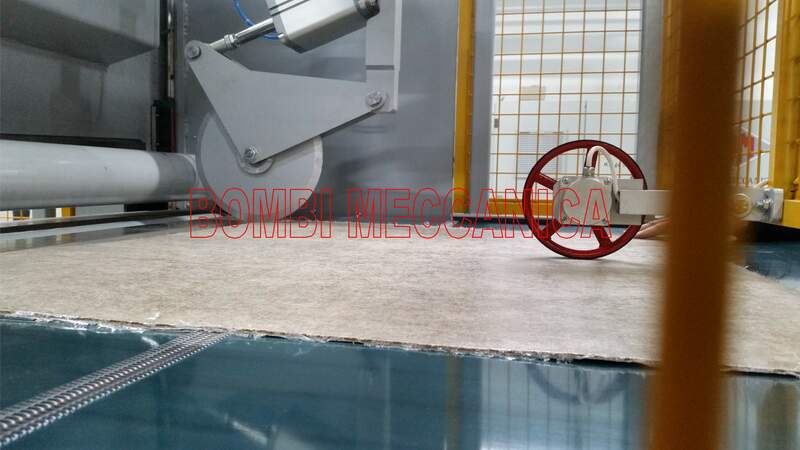 cooled plates and rolls in contact with the belts, situated in the last part of the module. 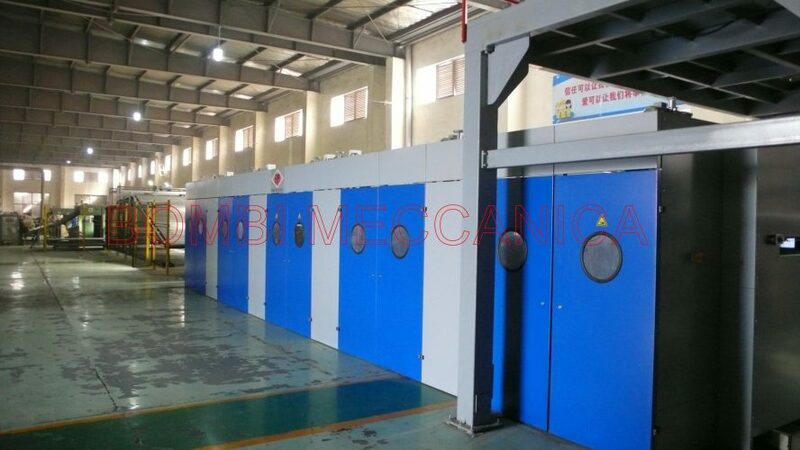 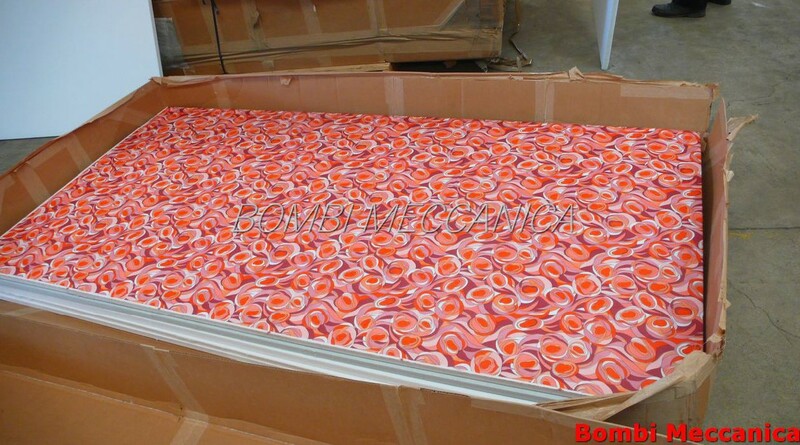 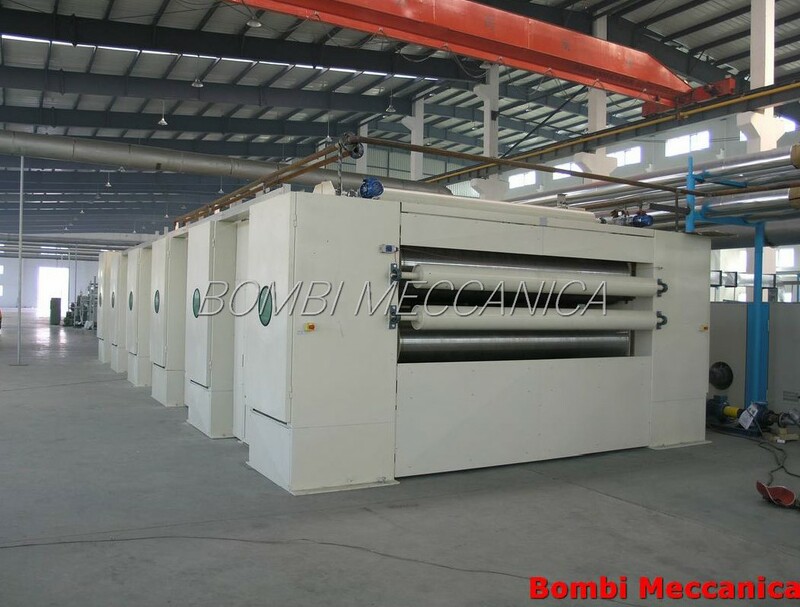 of calender and oven, the material is ALWAYS under compression. 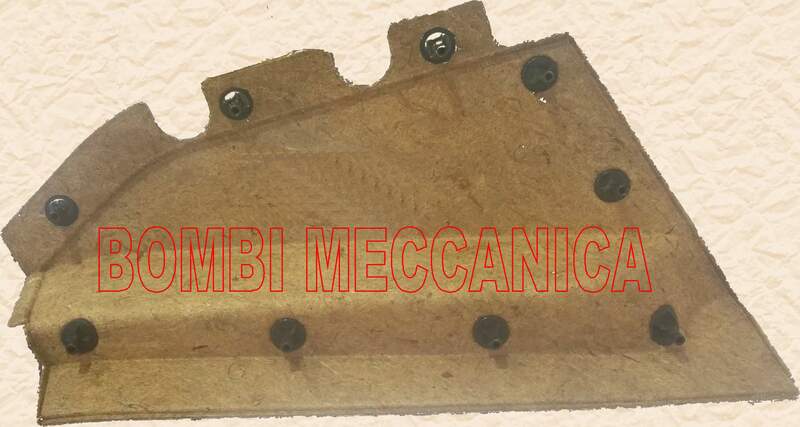 adjustable from a central control board. 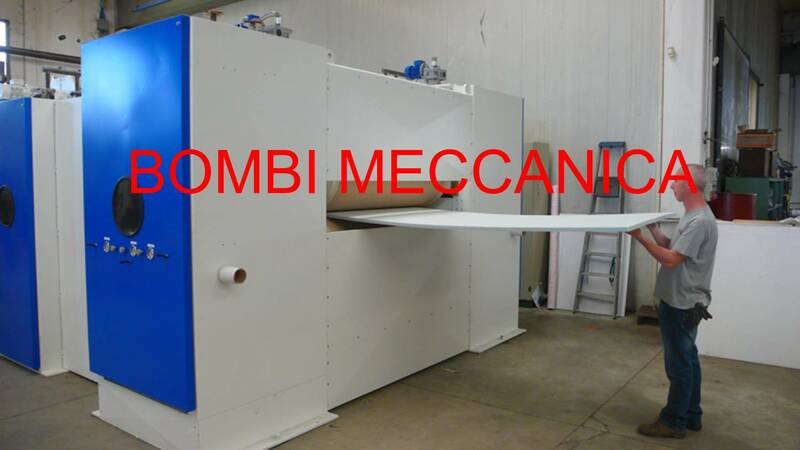 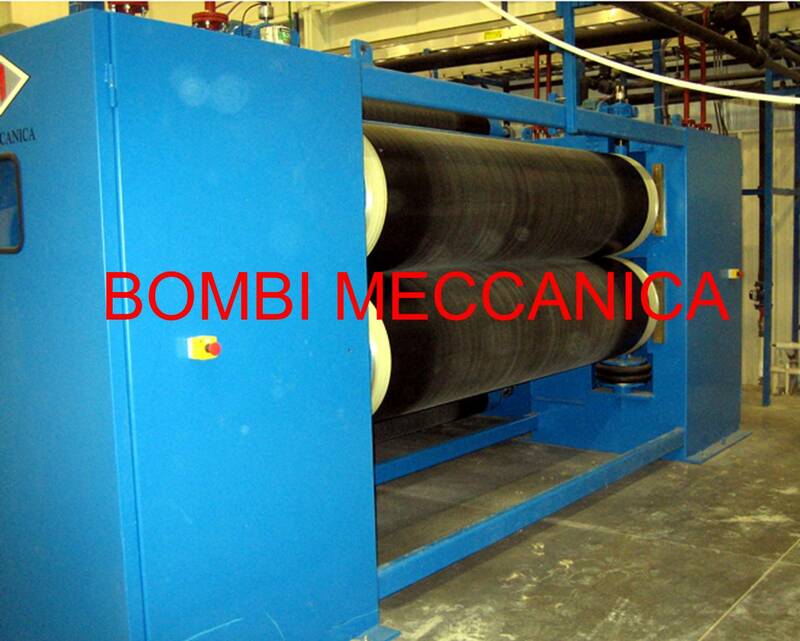 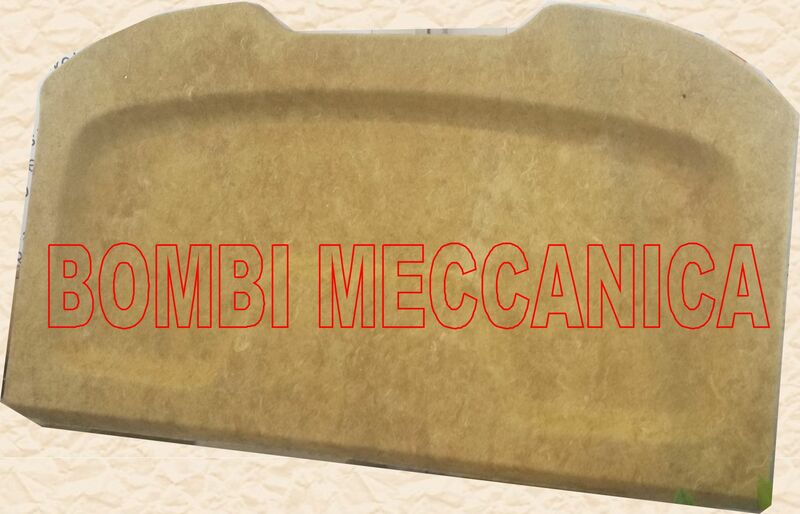 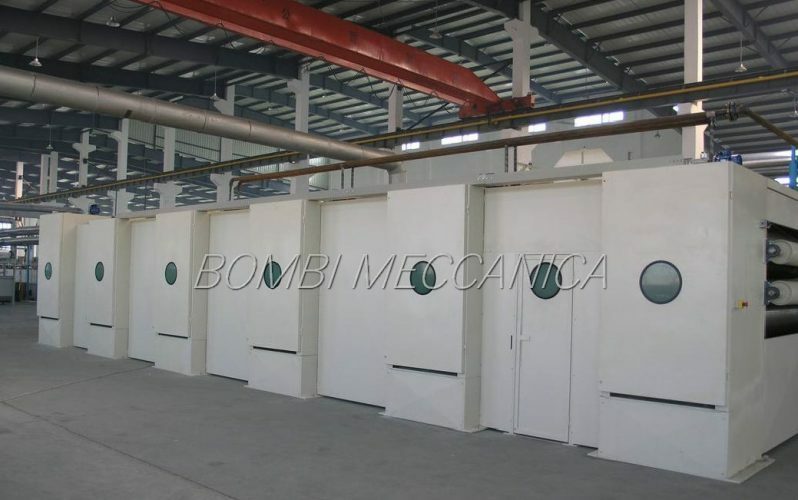 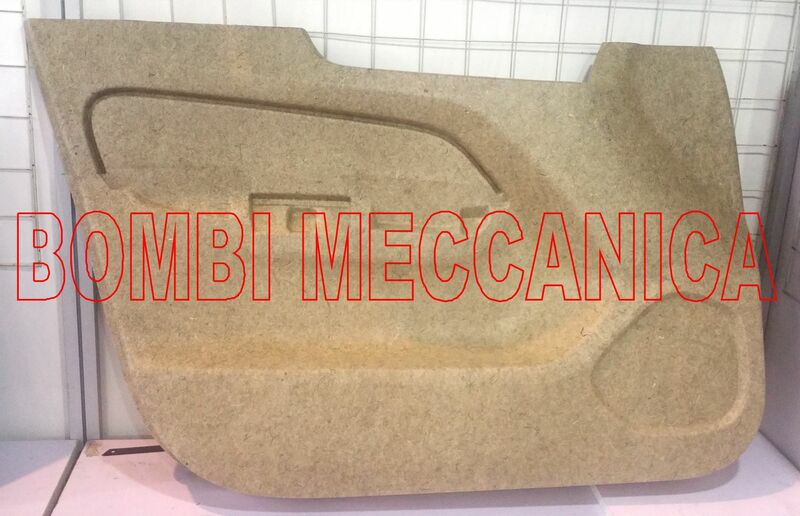 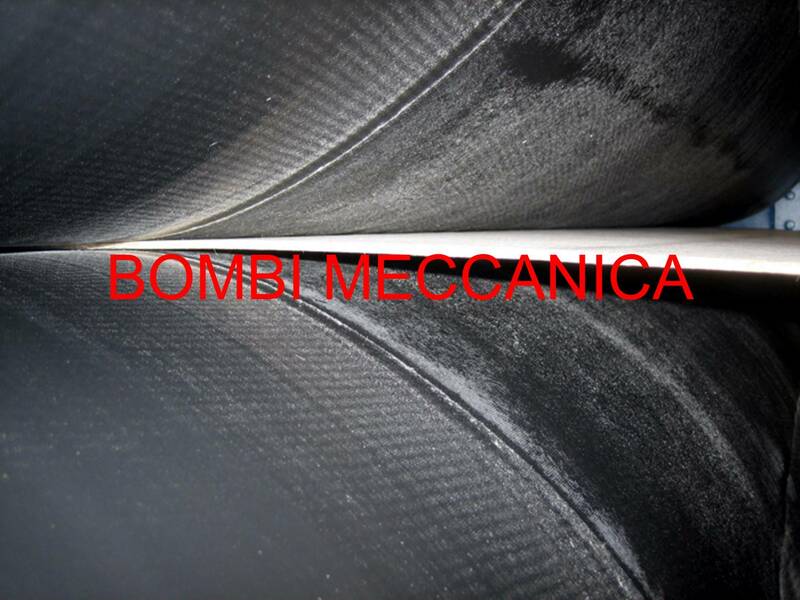 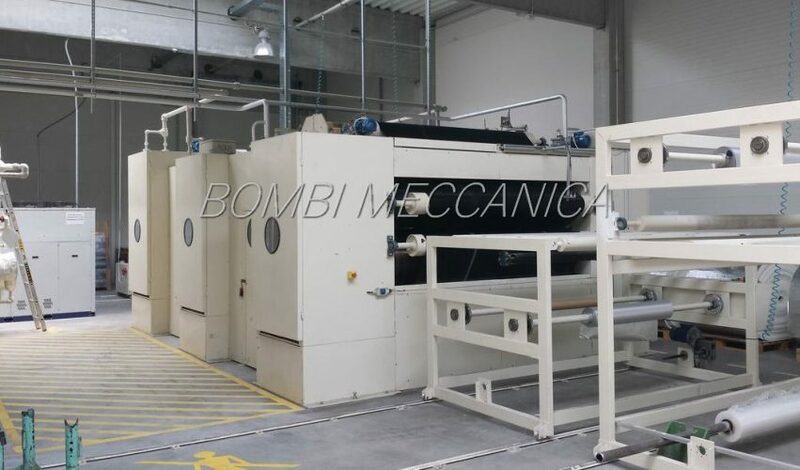 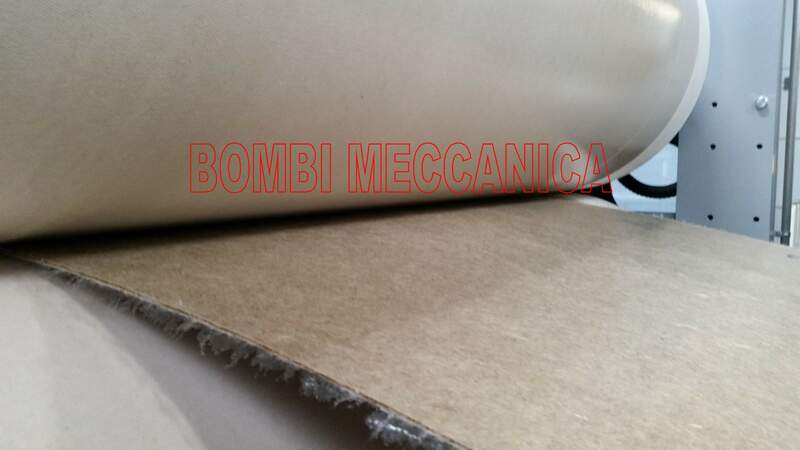 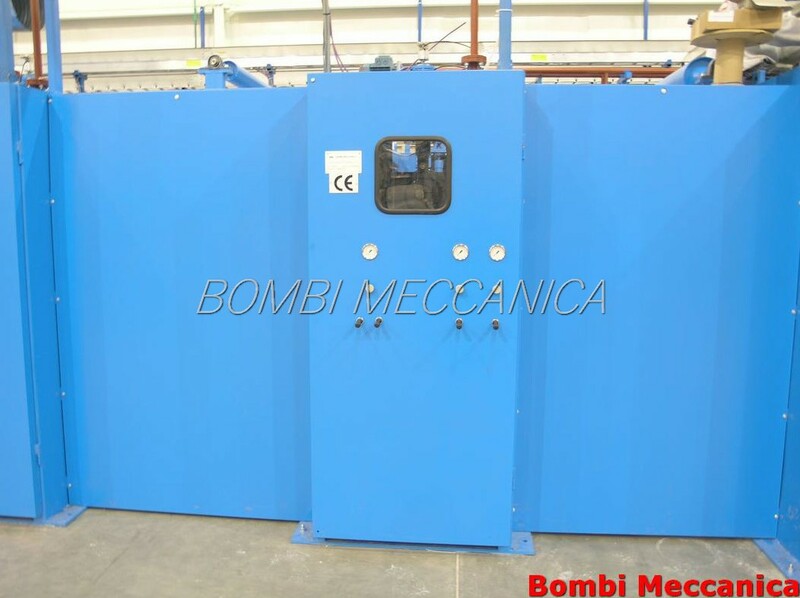 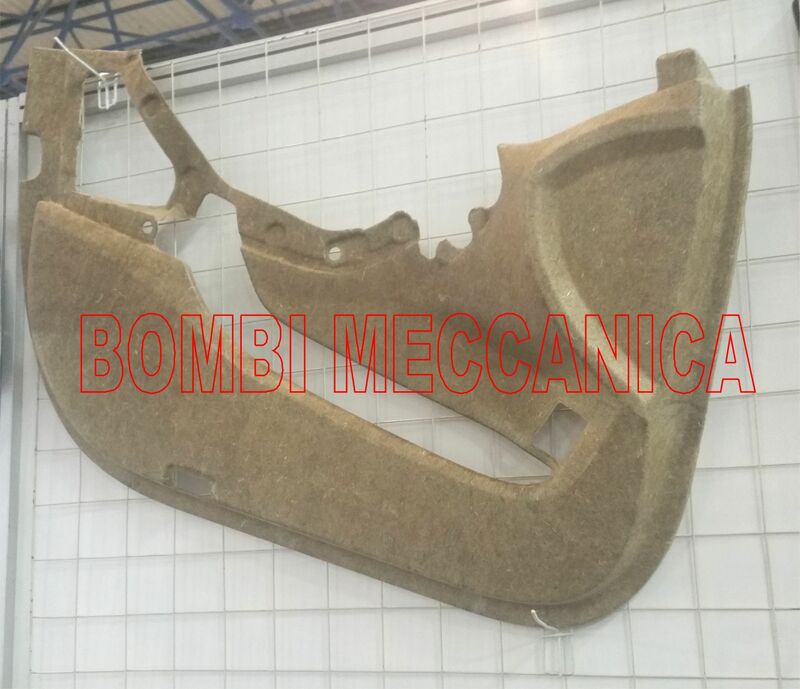 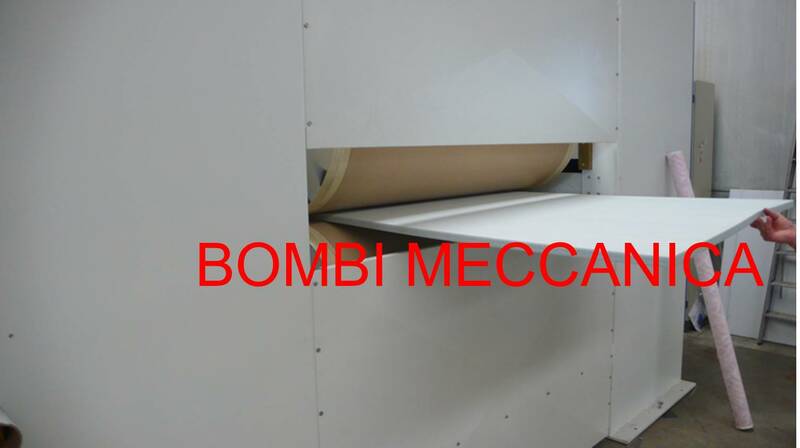 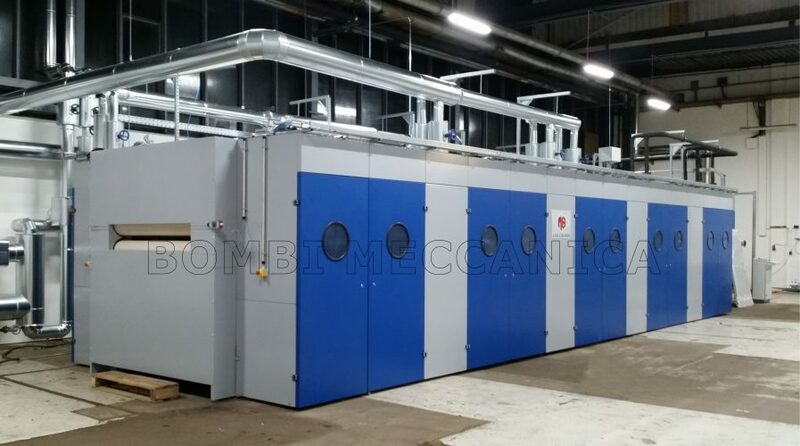 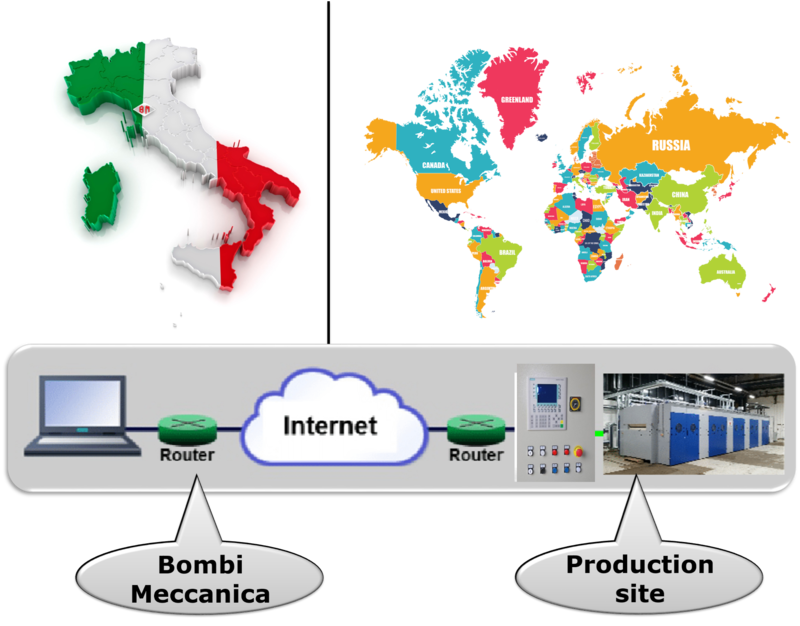 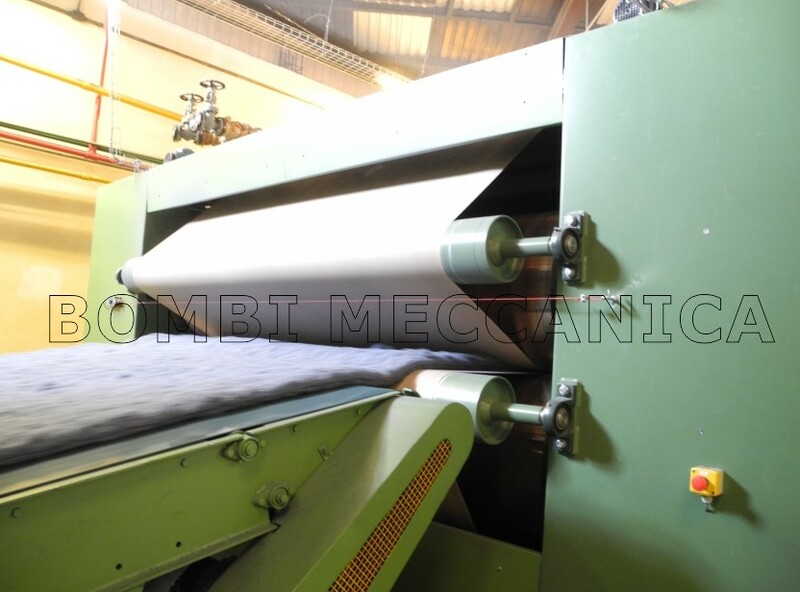 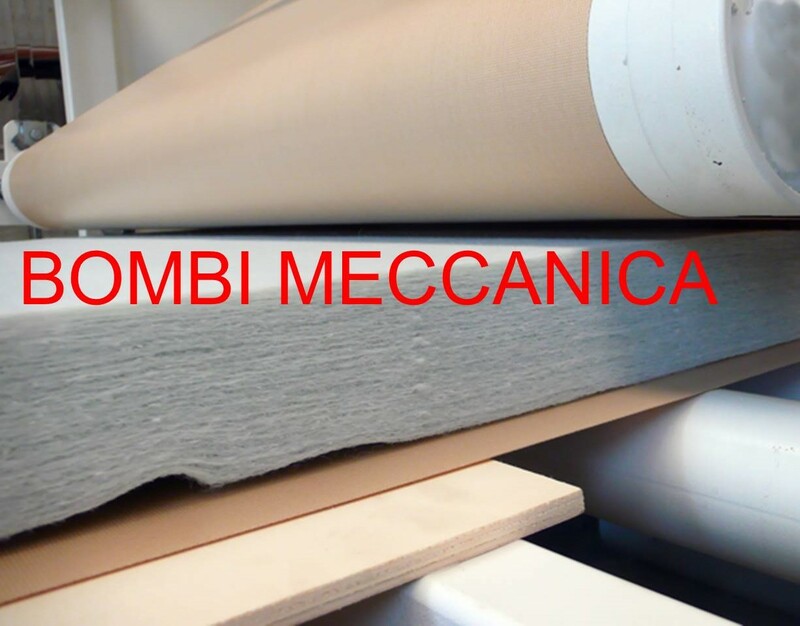 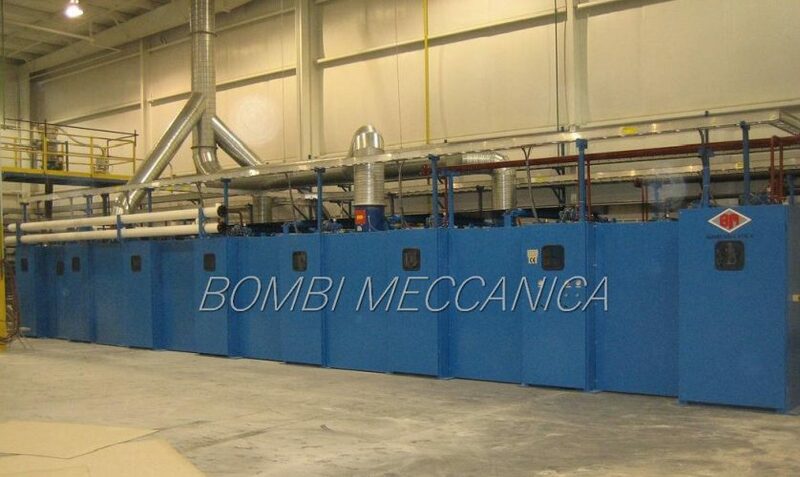 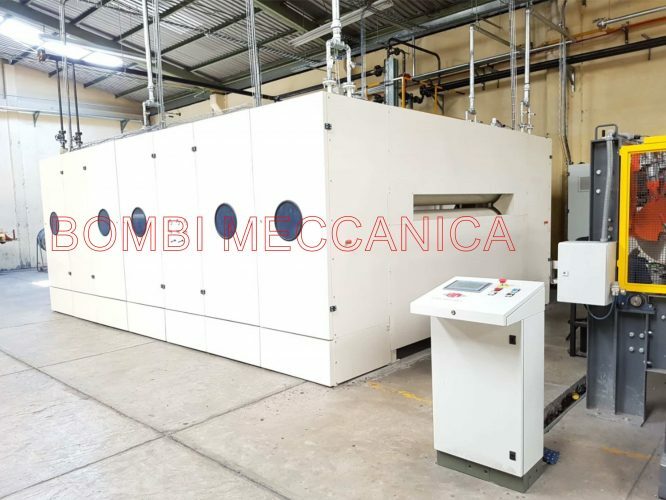 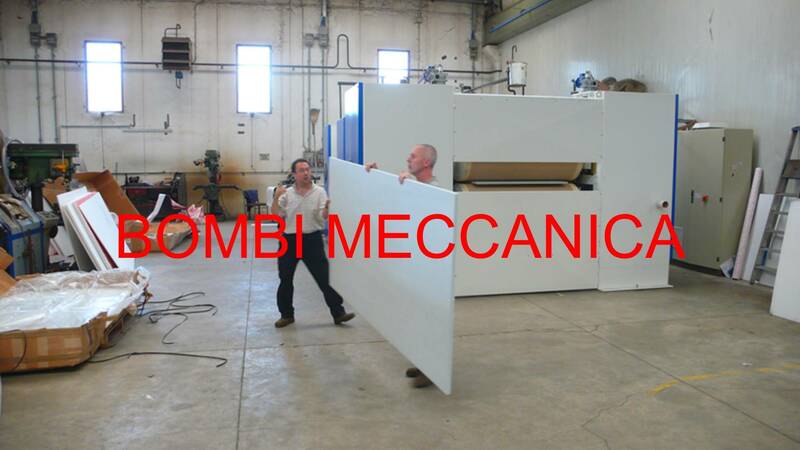 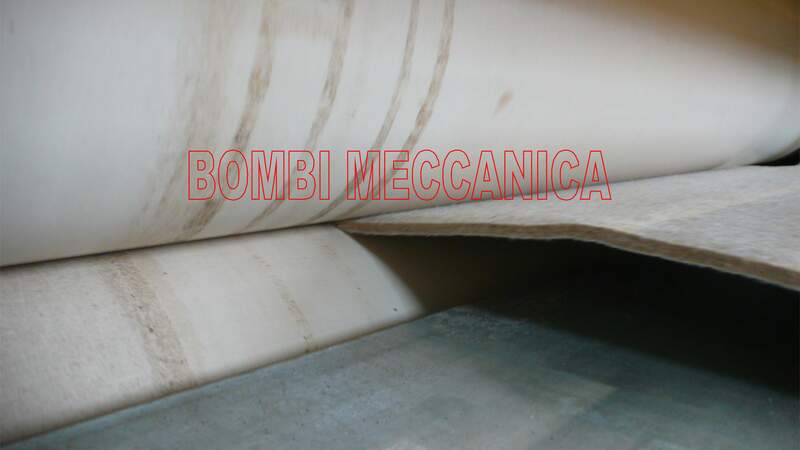 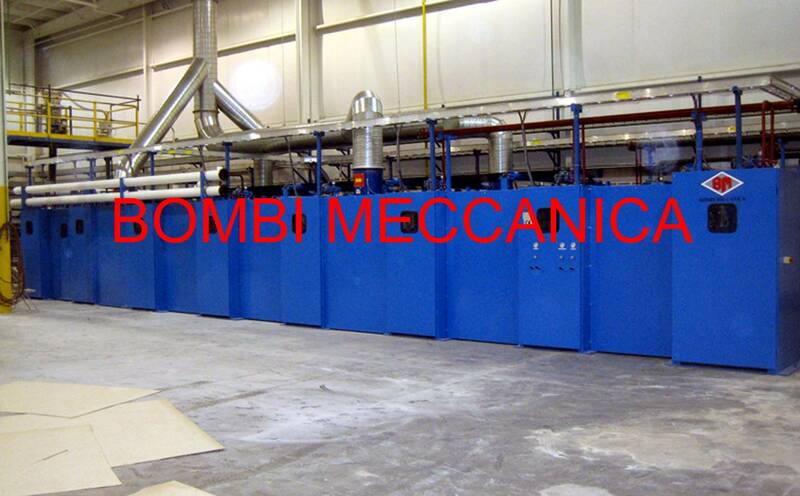 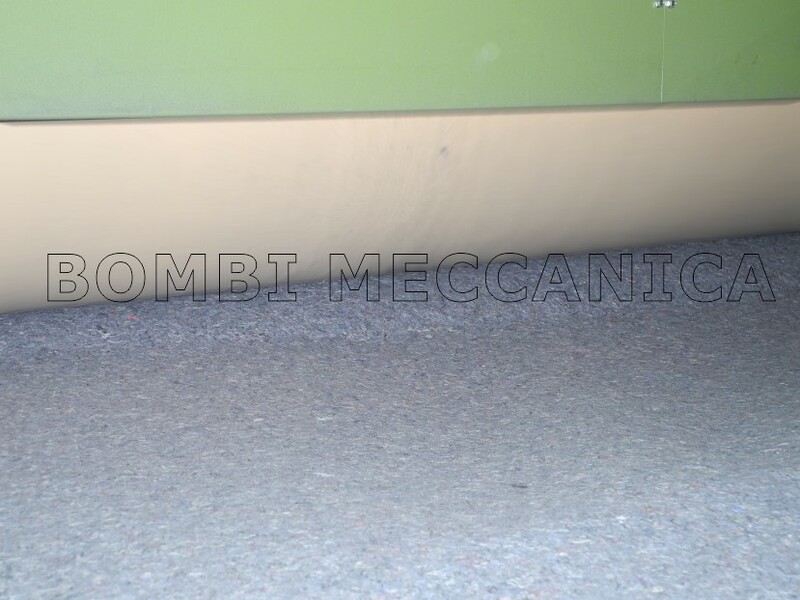 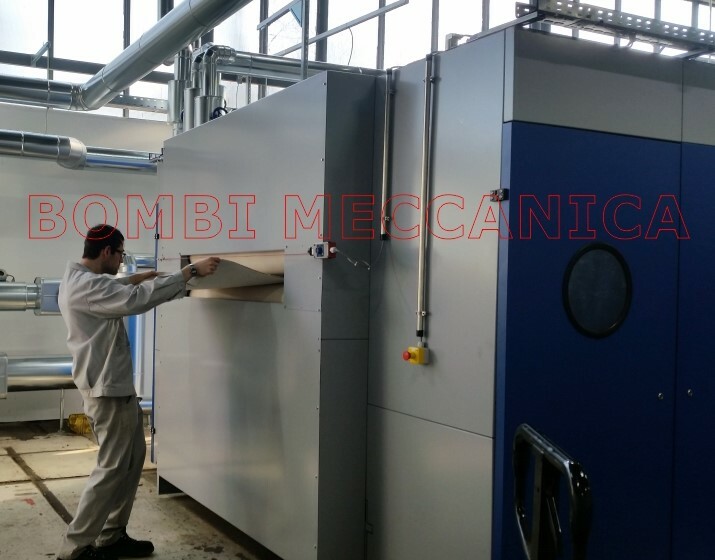 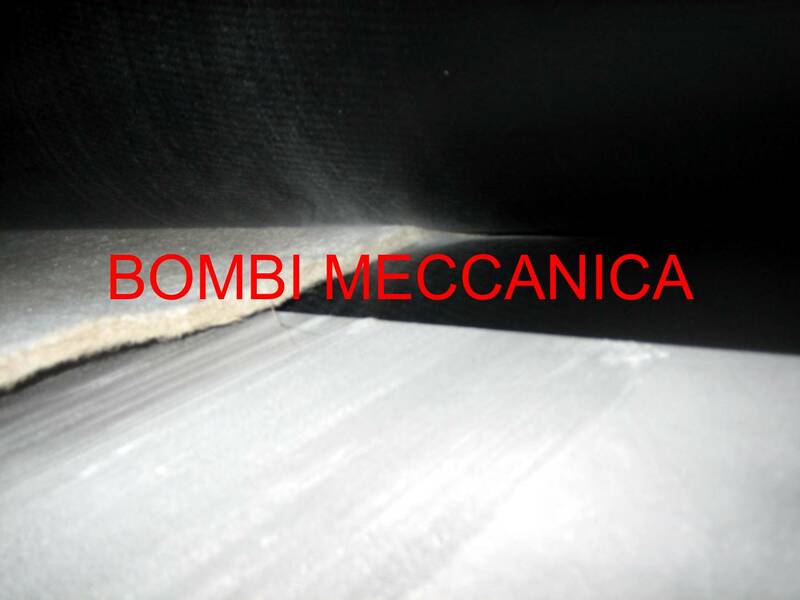 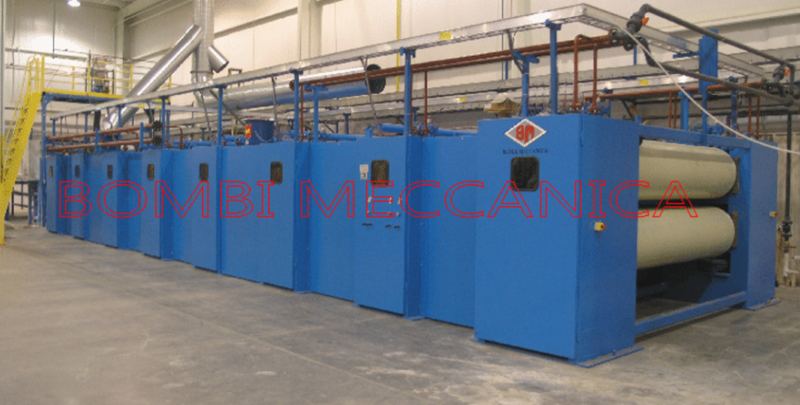 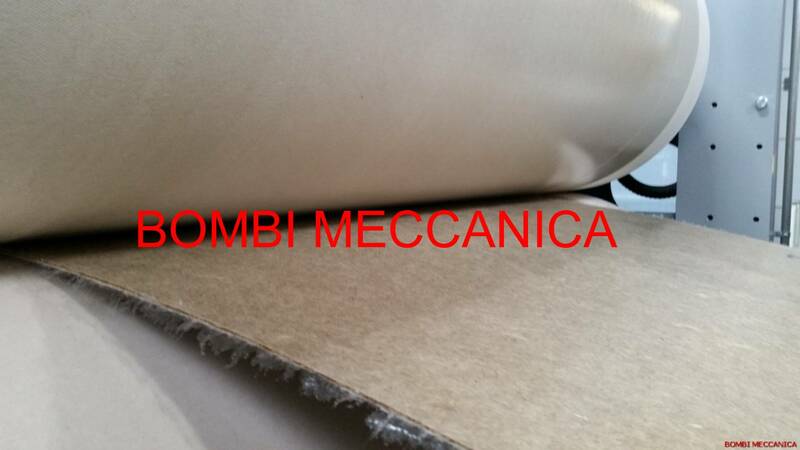 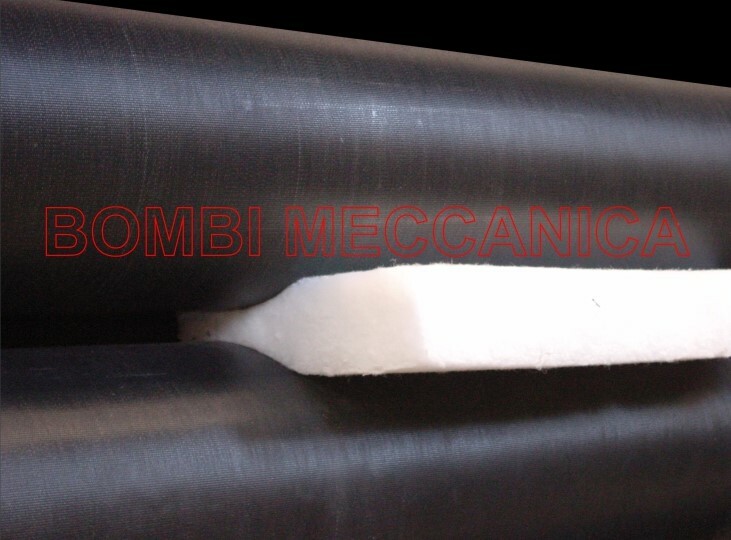 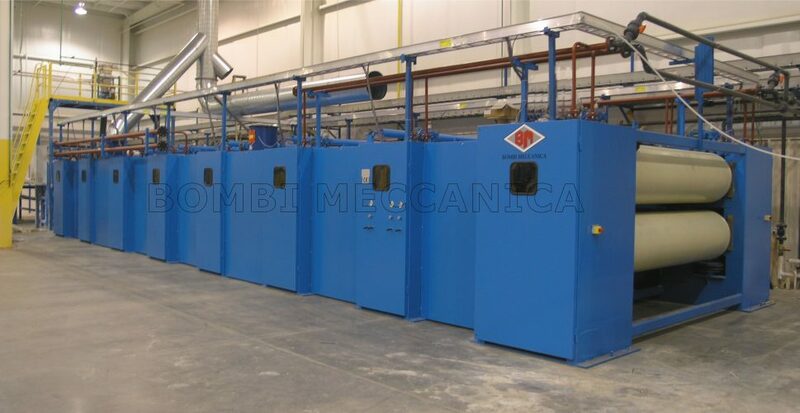 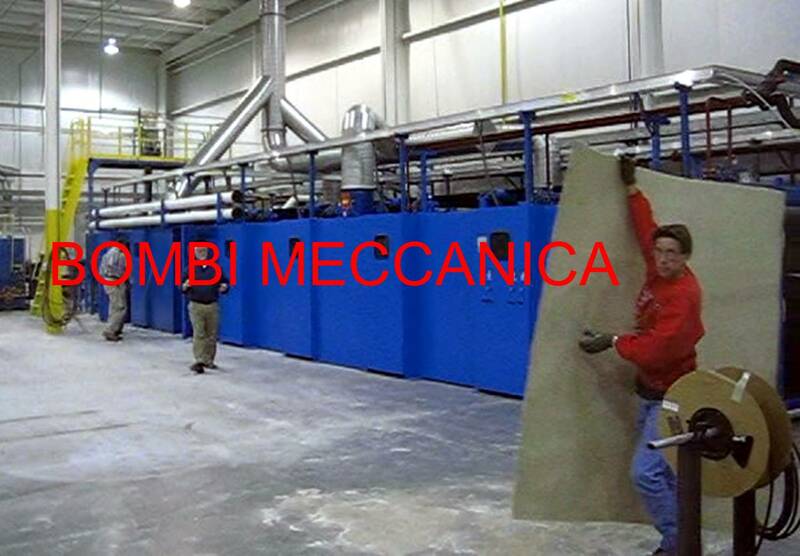 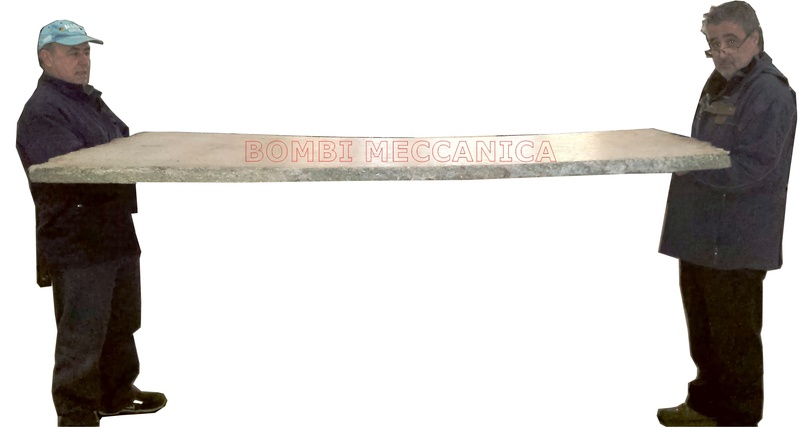 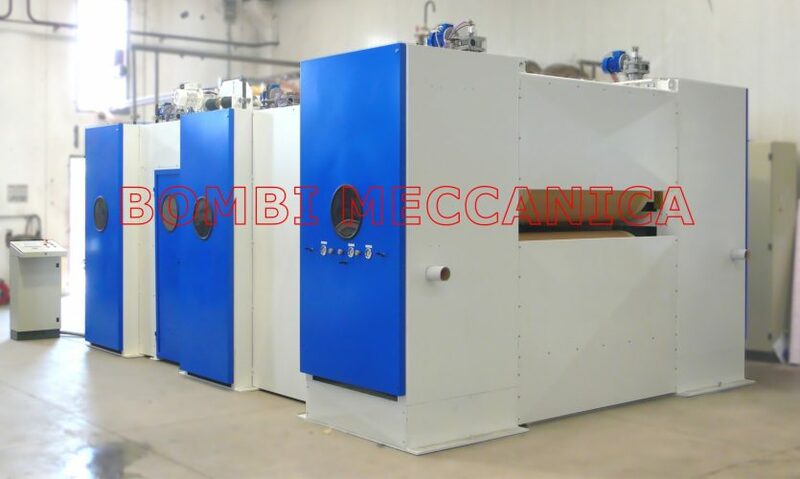 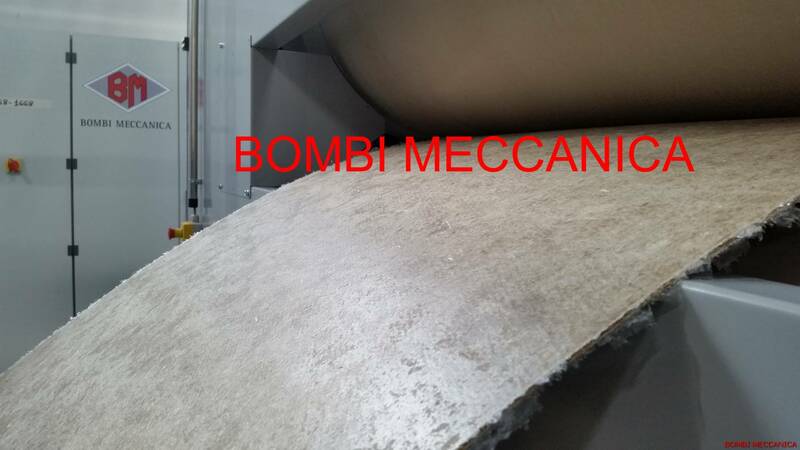 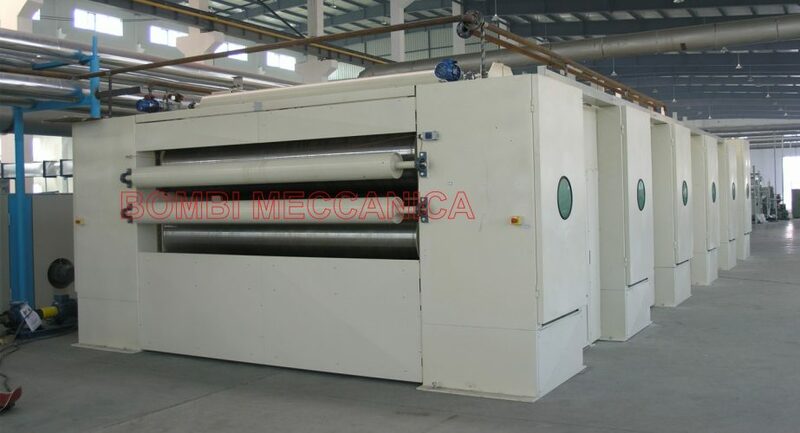 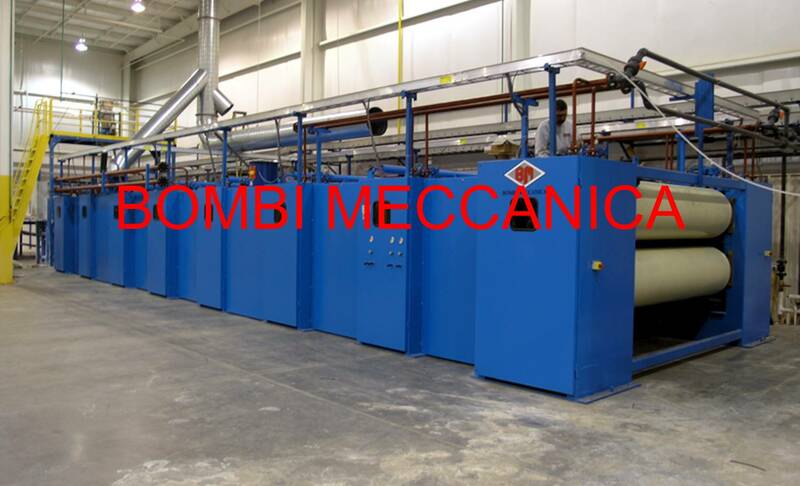 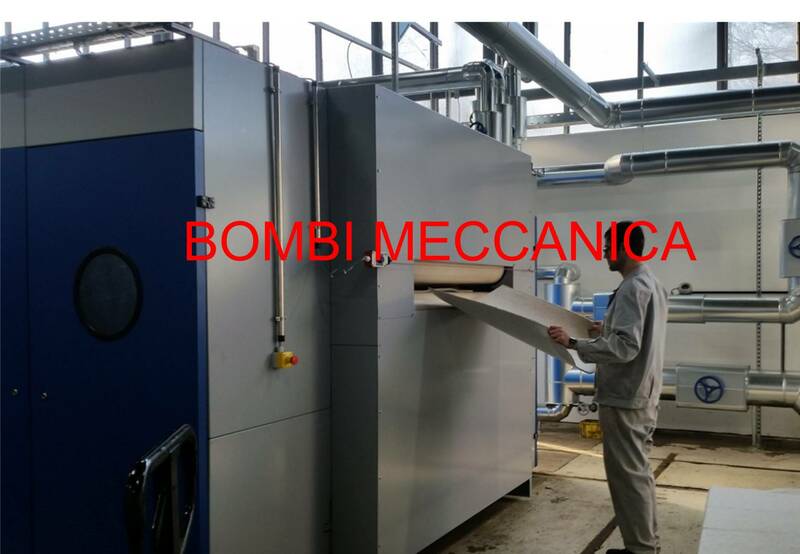 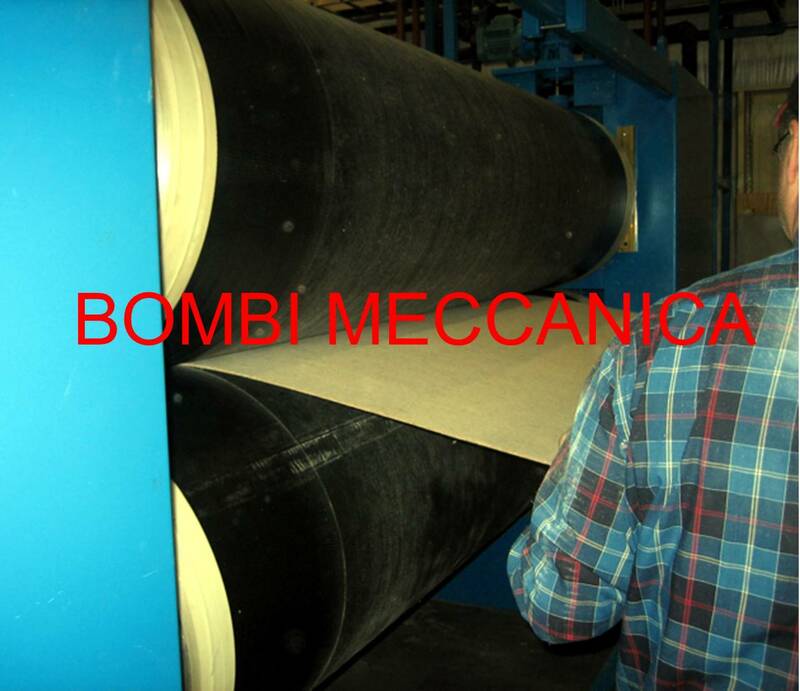 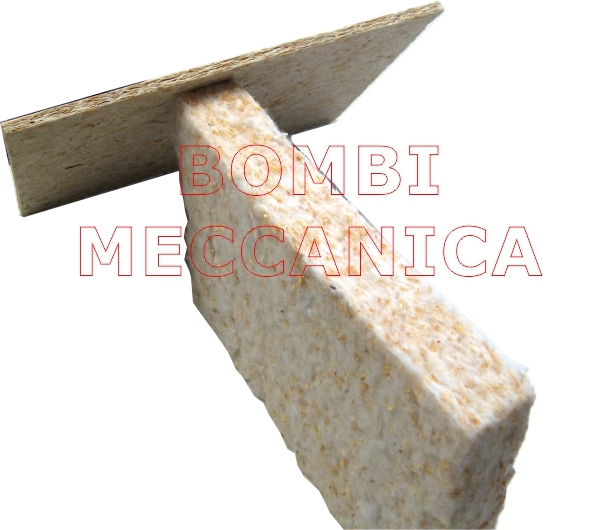 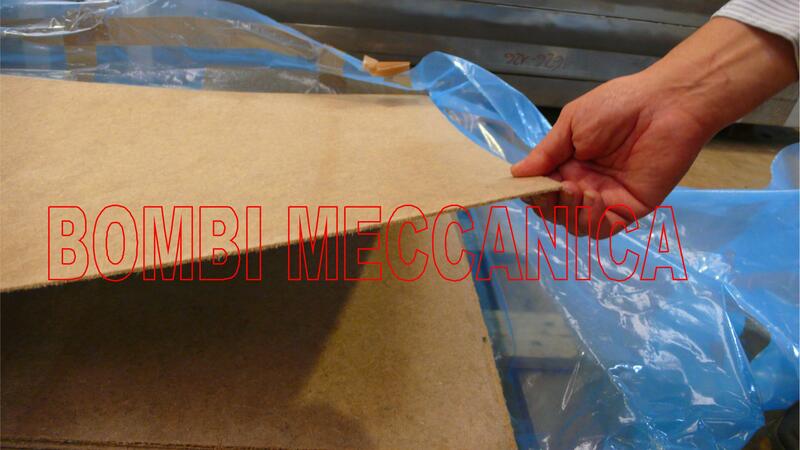 It is more than 20 years that Bombi Meccanica developed his double belt press to be used in various applications. 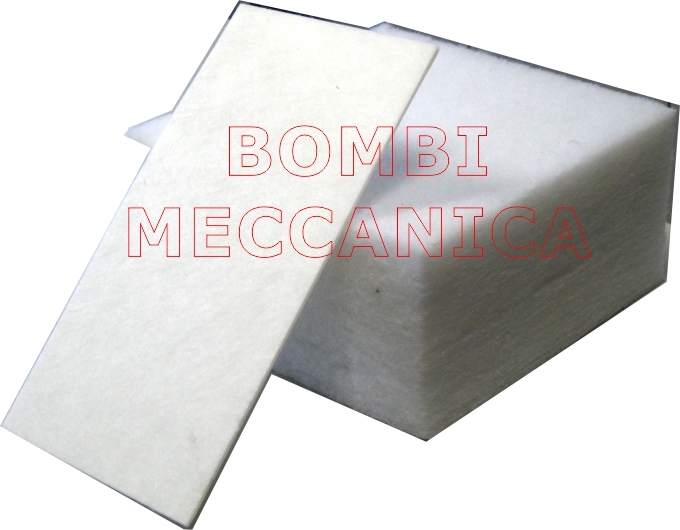 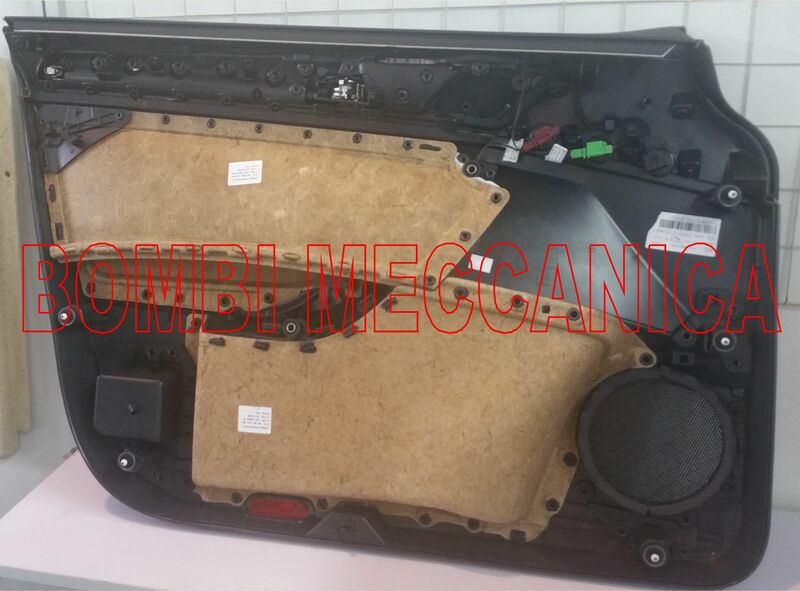 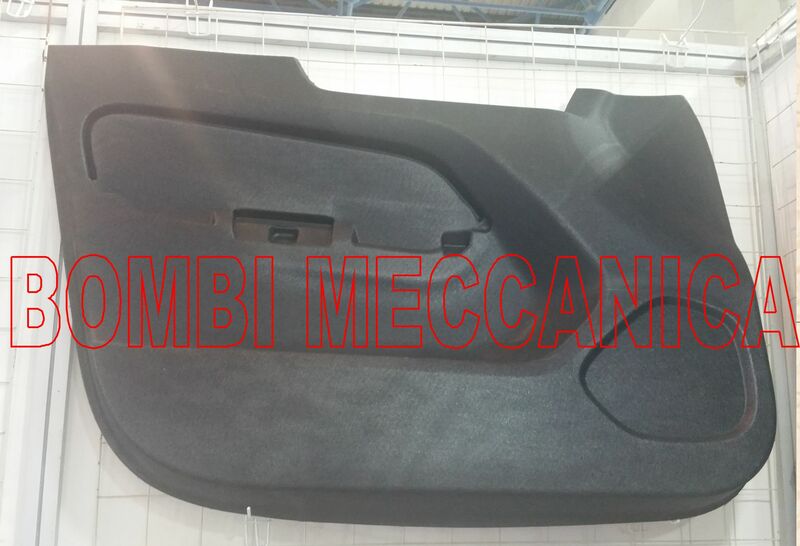 Recently we have upgraded our model to meet specific requests into pads making for automotive industries. 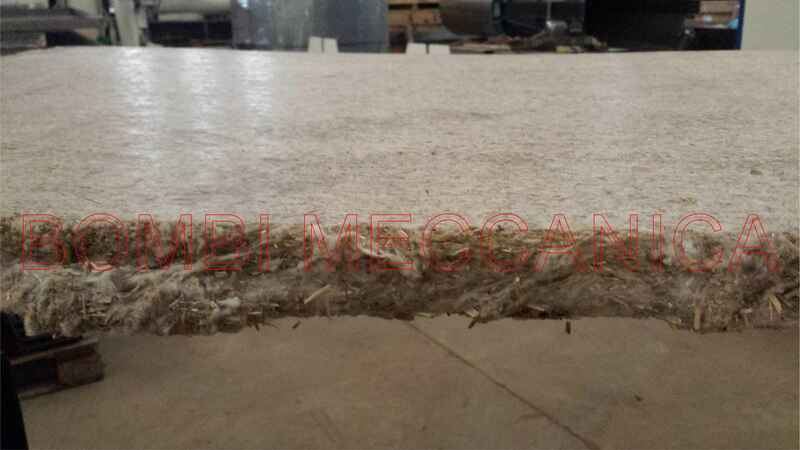 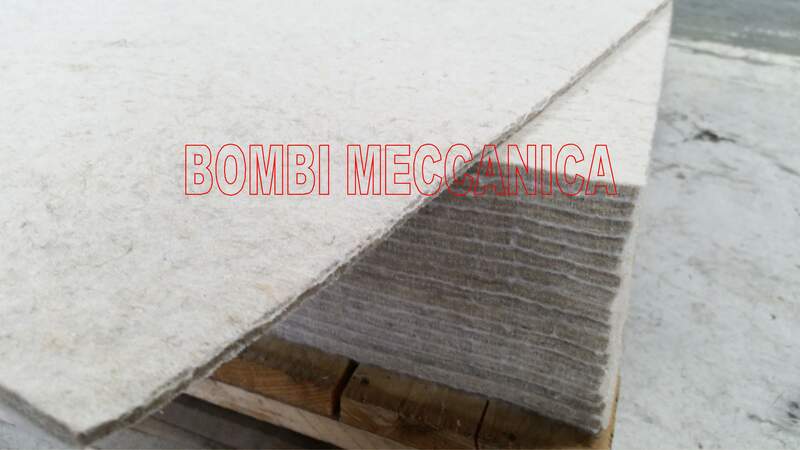 These pads are generally made by a blend of Kenaf or Hemp fiber and PP, formed with air lay system and needle punched. 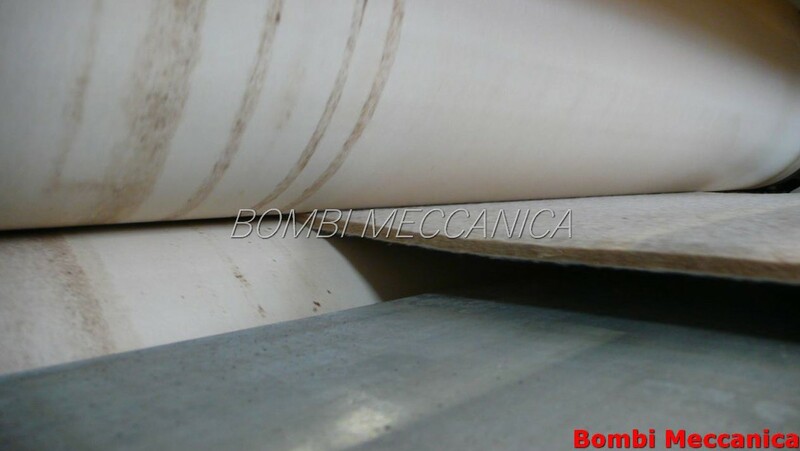 With a weight of 1500-1800 gsm , they result with a thickness of 15-18mm around. 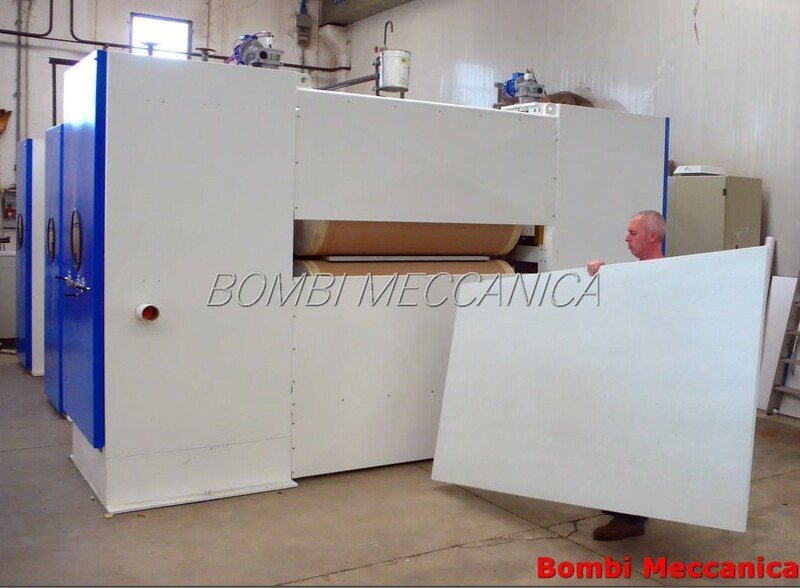 The solution is to use a double belt press just after the needling process to reduce the thickness of the felt till 3-5mm. 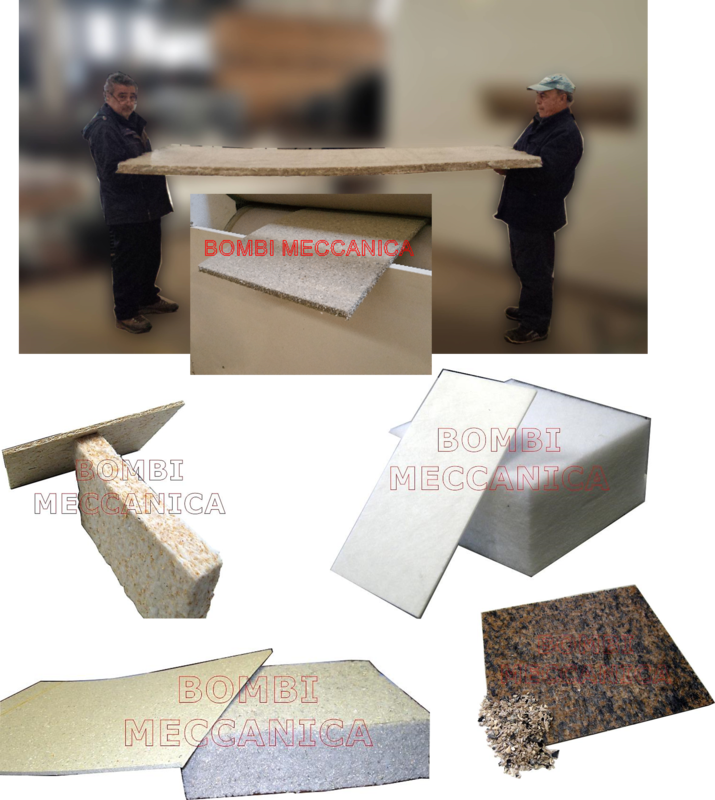 precise product as it is much more dimensionally stable. 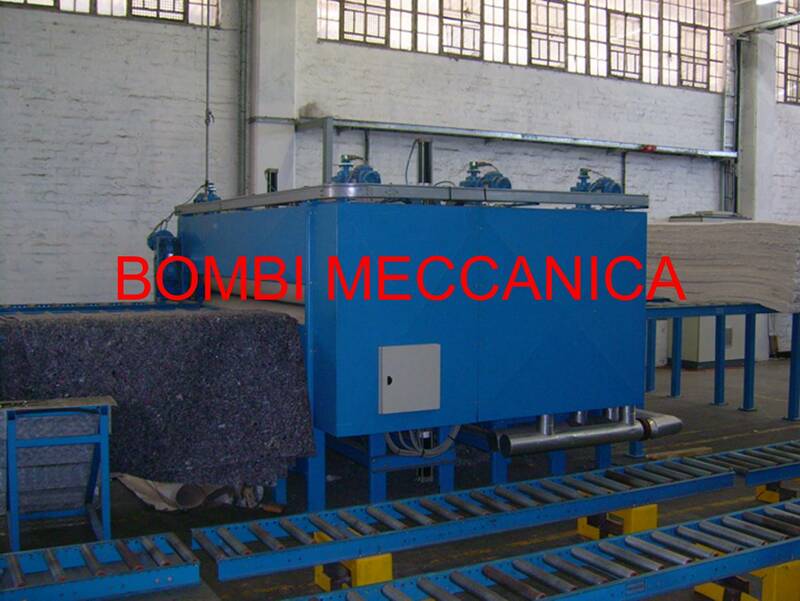 center of the machine where a double calender block the felt definitely and push it into the cooling area. 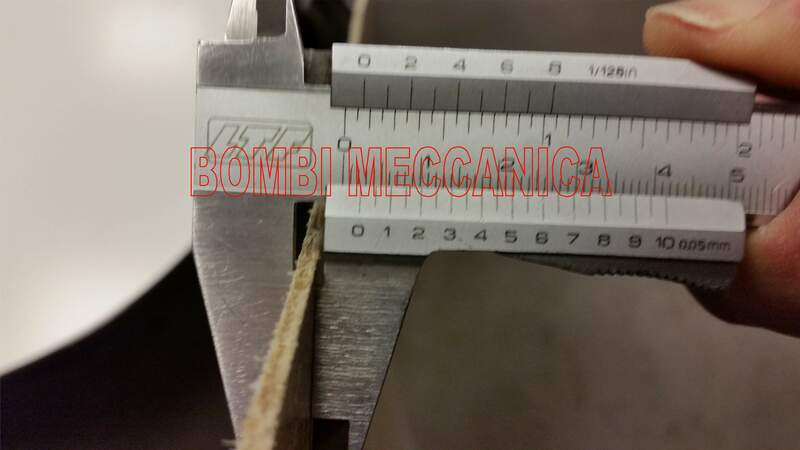 and double calender assure optimum thickness control on the final product. 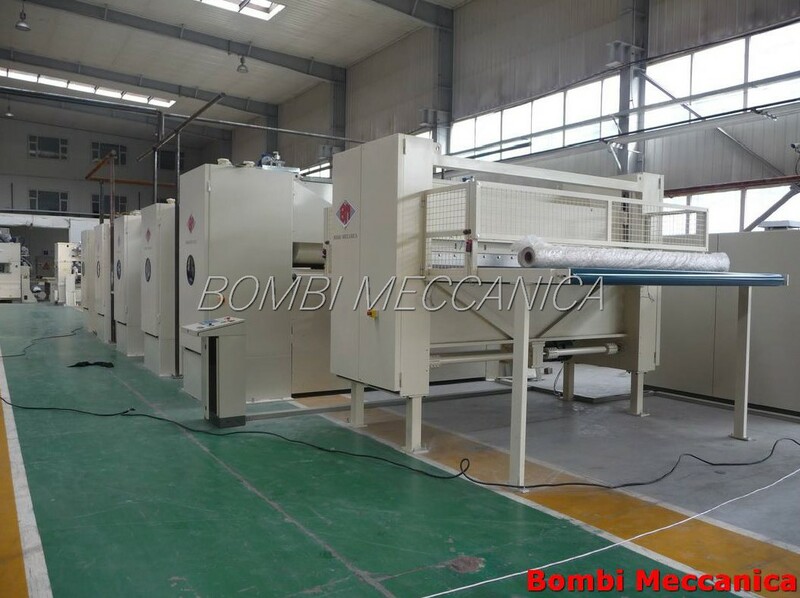 extremely expensive wood production line. 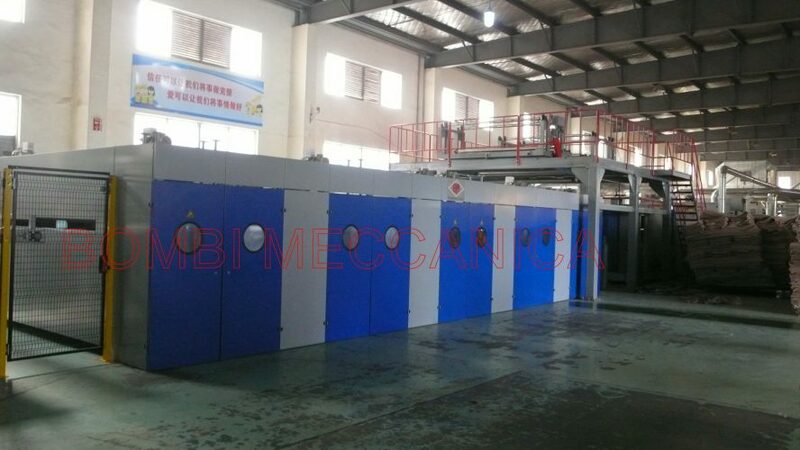 Lamination of two or more felts without any chemicals, just using the fibers. 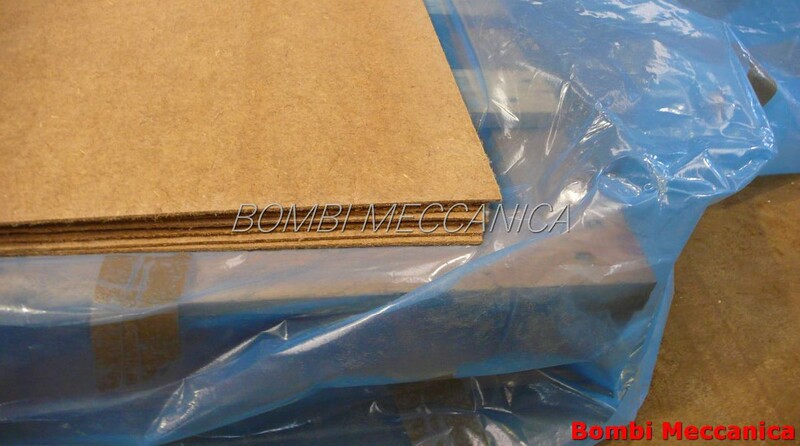 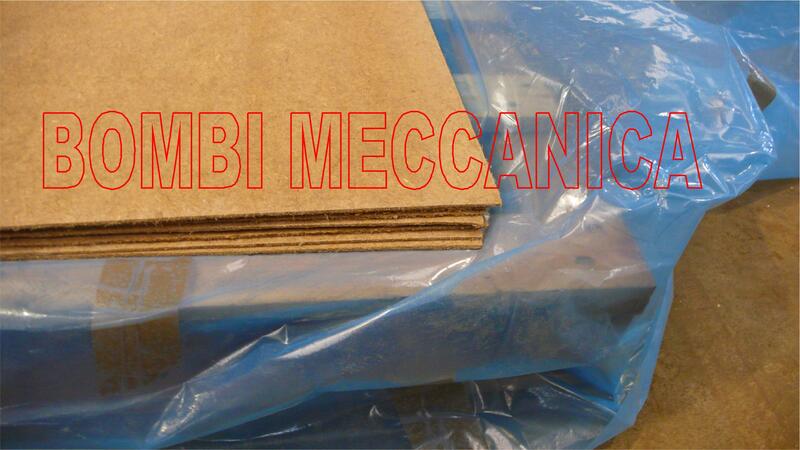 containing fusible fibers or fusible material into rigid boards that can then be used in various applications. 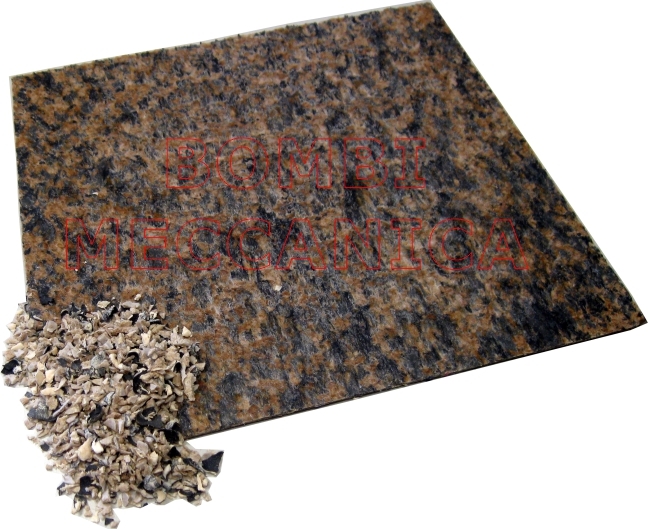 however small the quantities are. 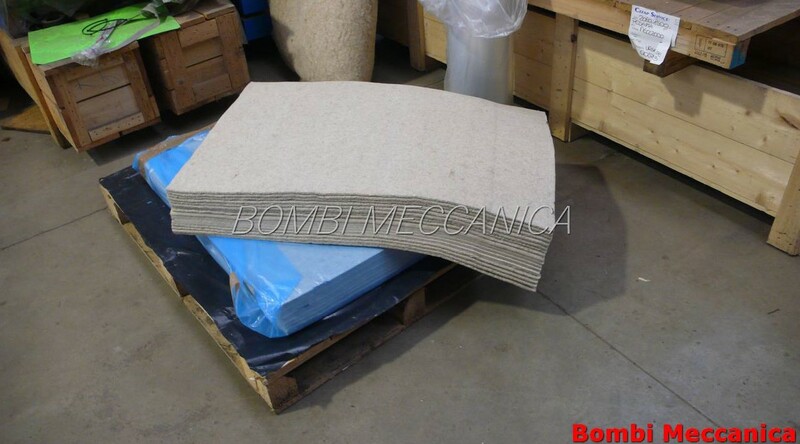 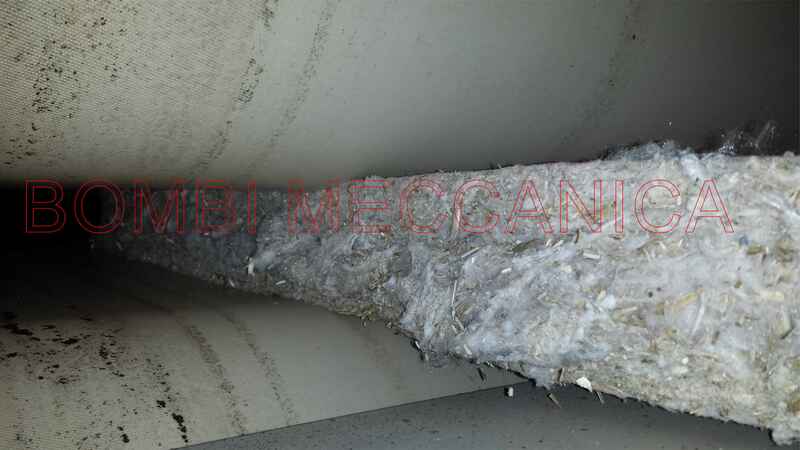 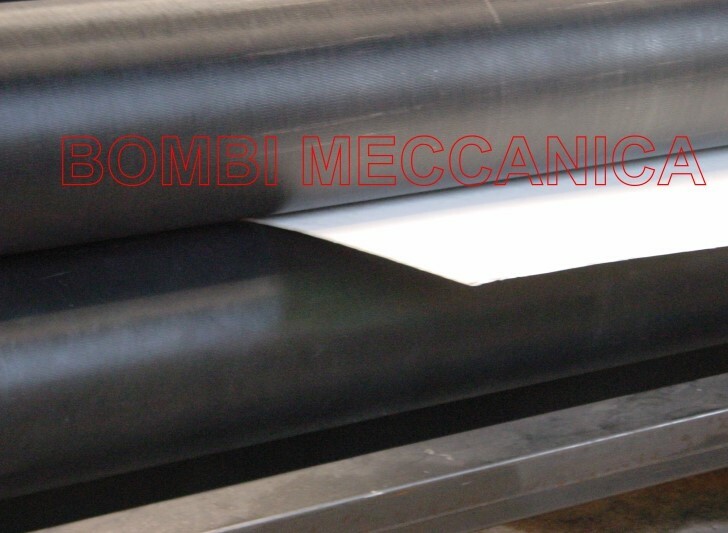 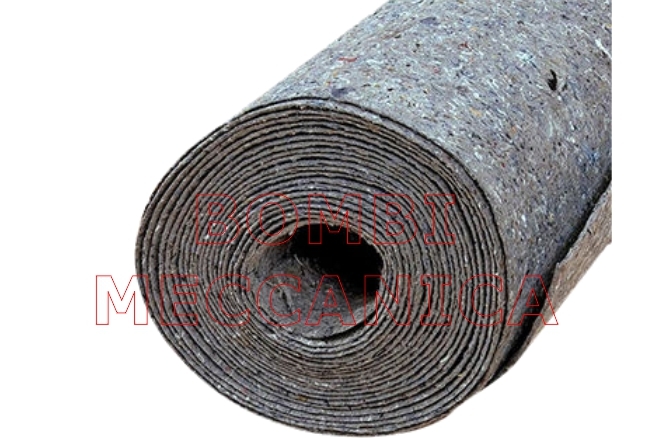 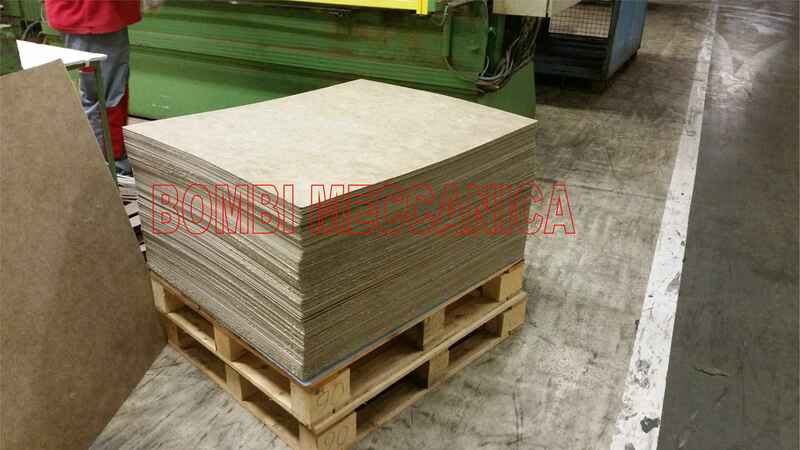 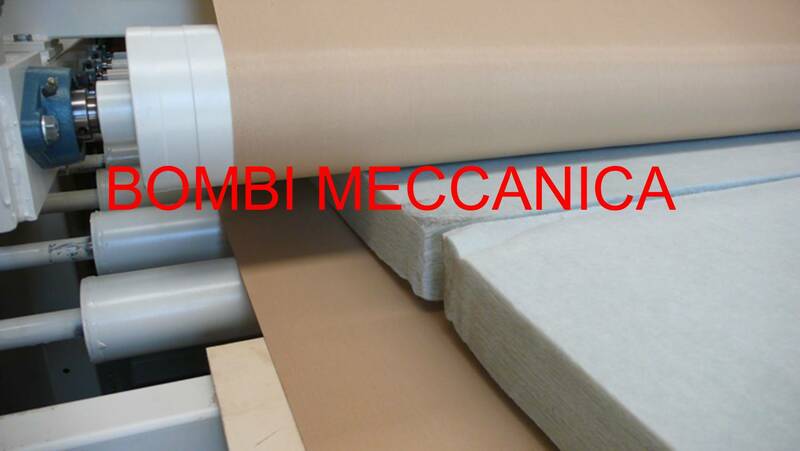 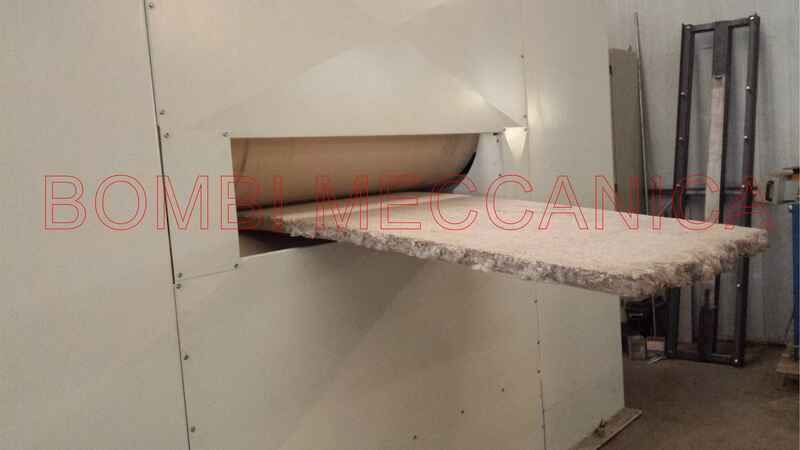 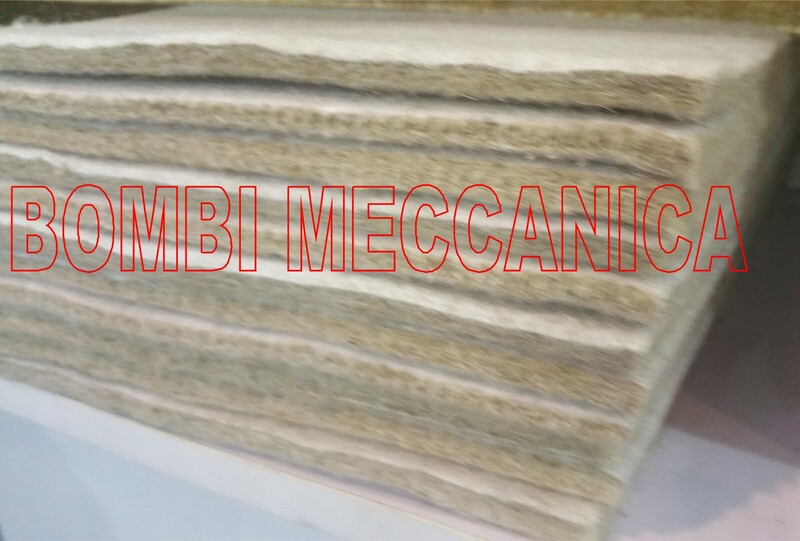 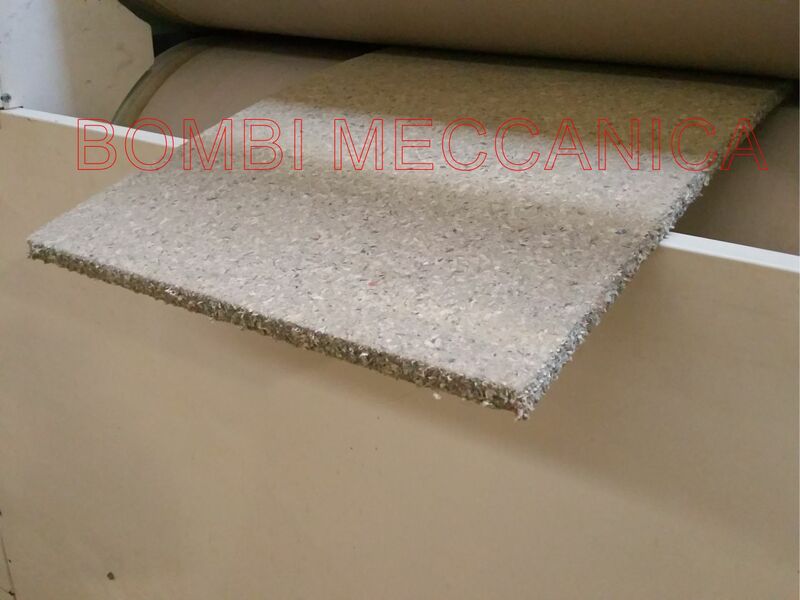 Compressing of polyester thermobonded webs, in blend with bico, to produce sound insulation boards. 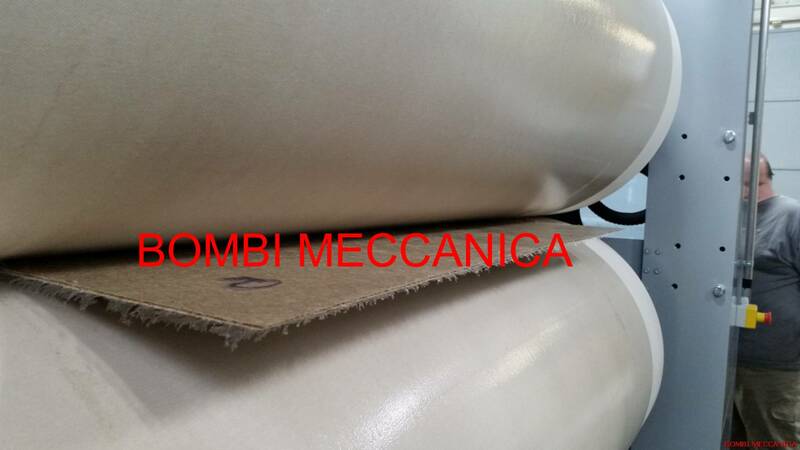 Laminating of shoddy felt with a polyethylen foil, to produce a protective felt for painting. 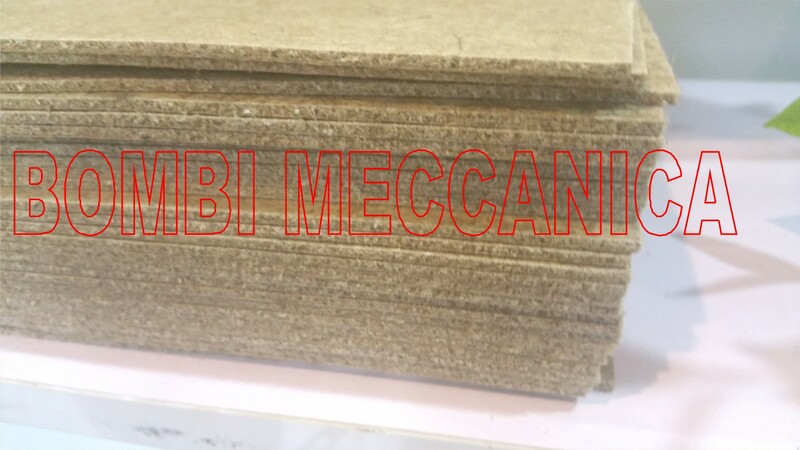 -To re-use shredded waste carpet and turn it into rigid boards, finding new life from waste. 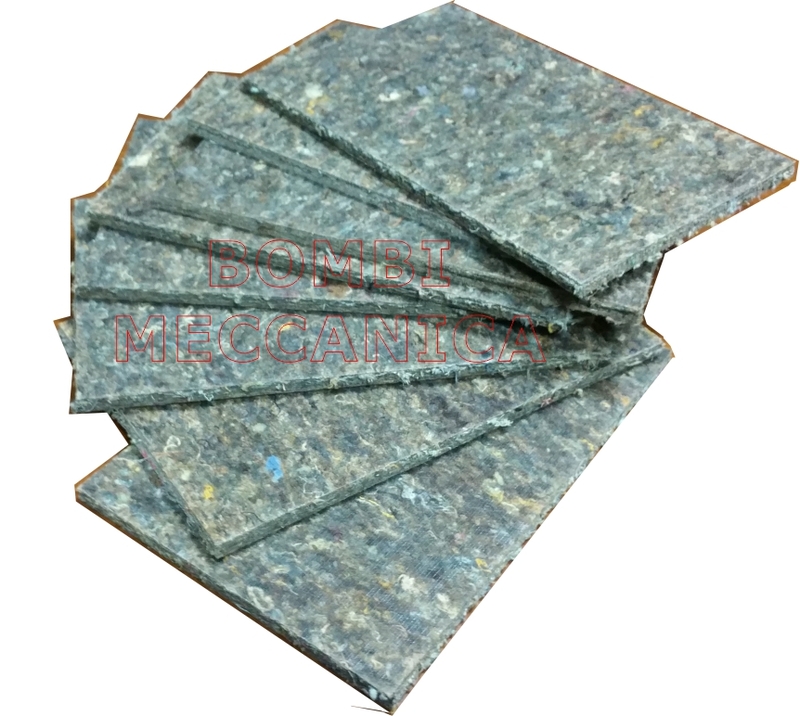 -Can be used in any possible way to transform a low cost web\pad\waste into an high added value technical end-product. 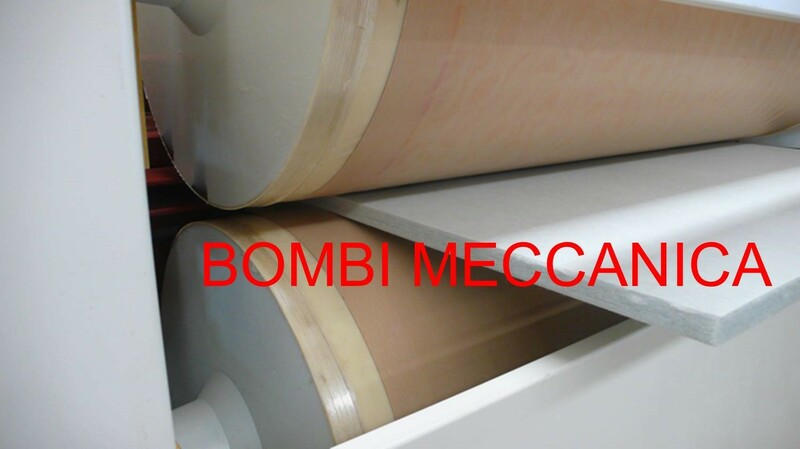 -For lamination of multiple layers of felts or composite materials, or Melt one layer of polyethylen film on the web. 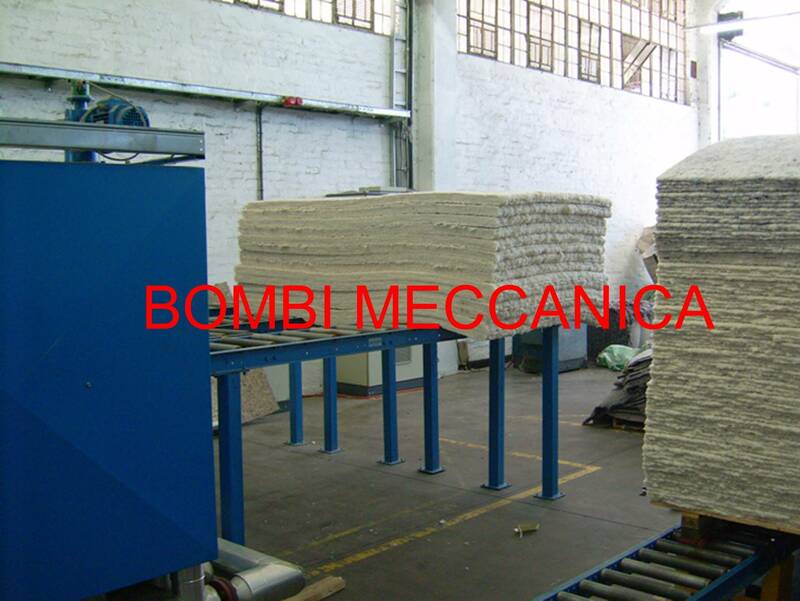 -For melting and compress the scattered powder alone, or on top of felt\wadding, or in sandwich between 2 felts. 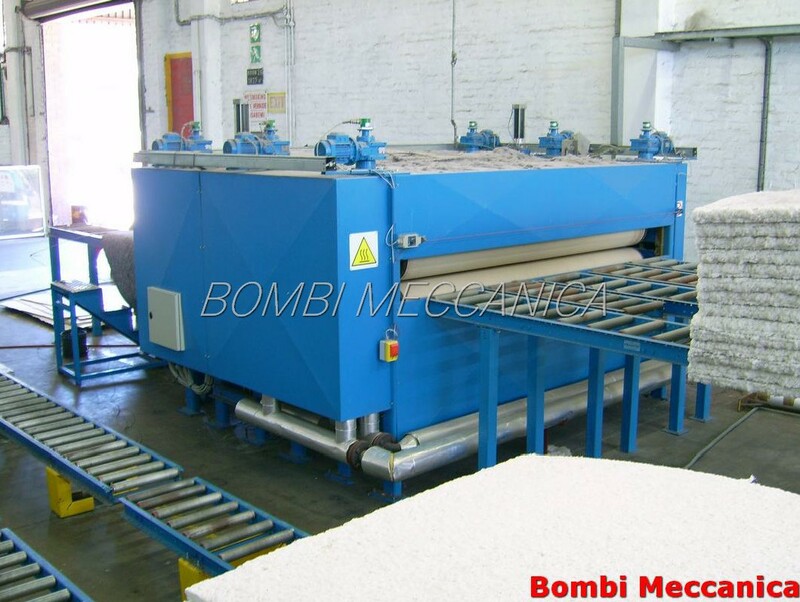 -To produce marble-like panels out of waste fibers\particles. 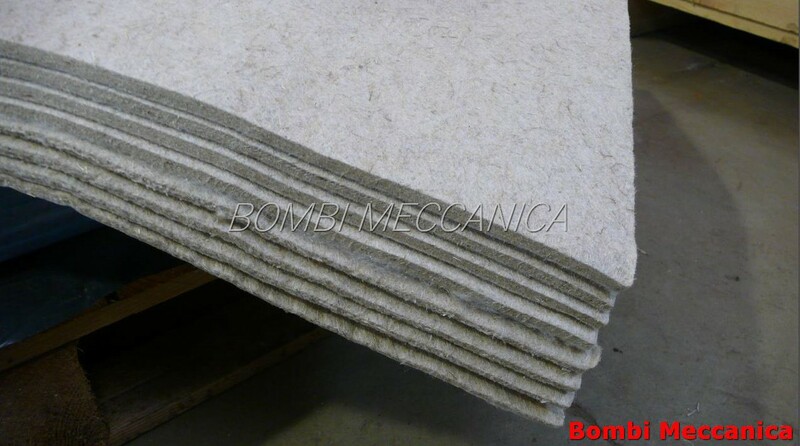 The panels could be hard as stone.